You already get the BEST video experience. Now DIRECTV is upping their game with brand new programming, Free Previews, and free exclusive & expanded coverage of the BRIDGESTONE INVITATIONAL from the Firestone Country Club in Akron, OH. Read on for complete details on these great values, Compliments of DIRECTV! DOGTV – scientifically developed and Pup approved – is the first television network for dogs that is created exclusively for canines, and the humans who love them. DOGTV’s 24/7 programing helps stimulate, entertain, relax and habituate dogs with shows that expose them to various movements, sounds, objects, experiences and behavior patterns, all from a dog’s point of view. DOGTV is the ideal babysitter for “home alone” dogs. Research shows that dogs feel better in the company of television, especially when the right content is on. Starting Saturday, be sure to set your TVs to Channel 701 and watch DIRECTV’s exclusive coverage of the BRIDGESTONE INVITATIONAL Experience! Available ONLY on DIRECTV, watch four channels at once on the BRIDGESTONE INVITATIONAL Mix Channel (Ch. 701), or choose the coverage you want to follow on channels 702 – 705. See every divot, every swing, and every hole in breathtaking detail with crystal-clear HD! Top 5 Leaders – Follow the players at the head of the pack with real-time scores. 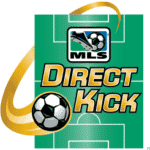 MLS Direct Kick brings you soccer action from all 19 MLS teams throughout the season with up to 236 regular-season matches and select playoff games, plus pre-game and post-game shows. Get a FREE Trial of MLS Direct Kick this weekend, August 3-4! Tune to Chs. 471-476. Tell all your friends about this great DIRECTV coverage, and don’t forget to have them Refer-a-Friend!